Please try to Limit the amounts of Chicken, Lamb or Veal fed during the HOT Weather seasons, as these animal proteins are VERY Warm proteins. Turkey, Beef, Pork or Fish are Cool animal proteins and are best to feed during the HOT months. Please DO NOT Feed Raw Pacific Salmon. I recommend this fish to be cooked to avoid the potential of any Fluke contamination. Please feel free to vary the meats used below to fit your food budget. Please email Dr. Joyce at drjoyce@kindred-caninesinmotion.org if you are feeding only this stew diet or totally fresh homemade meals. 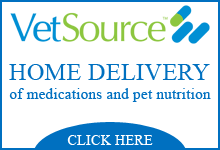 Your home cooked meals will need a multi-vitamin added daily, to be ensure that your dog and or cat is fed a correct & balanced meal. 5 pounds Whole Chicken (I use chicken in the cool months) or Turkey (bones, organs, skin and all) & Beef is fine too! For Dogs Only: You can add ~6-12 oz. of Rolled Oats, Brown Rice or Quinoa as a good source of carbohydrate and adjust the water content to just “cover” the ingredients. (I don’t recommend the grain portions for cats ~ its too hard to digest) I try to use organic whenever I can. Combine: all ingredients in a 10-quart stock pot (stainless steel, please) or use a large crock pot. Bring to a boil in the stock pot & reduce to low, and simmer for about 1 1/2 hours. If using a crock pot, I cook on low for 6-8 hrs. I personally find this the EASIEST method for me to fit into my crazy schedule. Once finished (your carrots are soft), let cool and de-bone the chicken or Turkey by hand. With an electric hand mixer (I use one available from Sears for about $19) or a food processor, blend all the ingredients together. If you do not have kitchen gadgets, I suggest a dollar store hand potato masher to break up your masterpiece into a nice bite size pet appropriate pieces. Using plastic yogurt containers, Tupperware or quart Freezer bags make up “meal-sized” portions for what you will use for the next three days. Place the remainder of your food in the Freezer in quart freezer bags. Warning: PLEASE NEVER serve cooked Chicken or Turkey bones to your pet; The bones will be soft and splinter easily. The bones can cause a GI obstruction or Gut perforation. A Time saving tip: You may purchase a few bags of frozen, diced vegetables at the food store to save time in the preparation process. Fresh vegetables contain more nutrients, but in a time crunch, you can fall back on frozen when necessary. Cat Feeding Directions: *An average adult cat will eat roughly 3/4-1 cup a day; depending on age, activity, level, current health, and season. Please cut back on these portions if you are offering a commercial food along with this Stew. Dr. Joyce Gerardi DVM CVA, recommends a Standard Process whole food vitamin: Feline Whole Body Support as a daily cat supplement. Please contact drjoyce@kindred-caninesinmotion.org to order this product for your cat to have a balanced meal. Dog Feeding Directions: Split and divide the suggested portions into at least two meals. Please cut back on these portions if you are offering a commercial dog food along with this Stew. Dr. Joyce Gerardi DVM CVA, recommends Standard Process Canine Whole Body Support as a daily dog supplement. Please contact drjoyce@kindred-caninesinmotion.org to order this product for your dog to have a complete and balanced meal. For each additional 20 pounds, add 1 1/2- 2 cups. Remember, all pets are individuals and you will need to let your senses guide you. 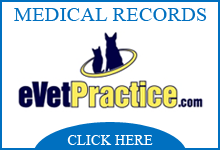 Amounts will vary depending on age, activity level, current health and weight of your dog or cat. *Please note working Service/Assistance Dogs may burn more calories due to the nature of their jobs. Please contact Dr. Joyce for a Telemedicine consult if you are feeding a Certified Service/Assistance Animal and visit www.kindred-caninesinmotion.org. Kindred-Canines In Motion (KIM), needs ongoing financial support in order to help those with a disability who depend on a Service or Assistance animal. Kindred-Canines In Motion offers Wellness and Integrated Veterinary Care to the “Servants that Serve” those with a disability. Please see the Donate Button at www.kindred-caninesinmotion.org on the home page if you can kindly give a donation. KIM is a 501c3 non-profit organization. All donors will be provided with a Tax Donation Receipt. PreviousPrevious post:Advanced, Non-Toxic Pet Pest Repellent System That WorksNextNext post:Do You Have a Hot Dog?